A former police officer has been jailed for 12 months after using his position to inappropriately contact vulnerable women. Lee Lucas, 39, was handed the sentence at Sheffield Crown Court on Monday December 21. 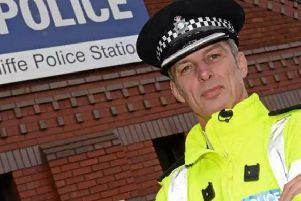 Lucas, who was a PC at Rotherham’s Main Street Police Station, previously admitted misconduct in a public office for which he was sentenced to 12 months. He also pleaded guilty to making indecent images of children for which he received a one-month prison sentence to run at the same time. Lucas, who has been a PC with the force since July 2010, pleaded guilty to the offences following an investigation by South Yorkshire Police. In October 2013, the force’s Professional Standards Department launched Operation Pigeon, an internal investigation exploring whether any officers were abusing their position by contacting vulnerable members of the public. The investigation identified excessive and unexplained contact between Lucas and eight women during 2013. The women were vulnerable members of the public who had contacted the police in relation to various incidents including harassment, domestic abuse and other crime. Lucas met them when he was deployed to incidents involving the women. The investigation revealed that he maintained contact with the women, sharing thousands of text messages with them and also visiting some of them at their homes. Further investigation into Lucas’ actions led police to discover that he had around 1,400 indecent images of children on his computer. Lucas pleaded guilty to misconduct in a public office and eight counts of making indecent images of children. He was suspended from the force in October following his conviction. Terry Mann, head of Professional Standards at South Yorkshire Police, said: “Lucas being jailed brings Operation Pigeon to a close. “This was an operation generated by the force’s Professional Standards Department to explore whether any officers were abusing their position with victims of domestic abuse and other crime. “This shows that we were willing and able to investigate officers’ wrongdoing and deal with it thoroughly and clearly. The victims were supported throughout what must have been a very upsetting time.